See below for a list of Frequently Asked Questions. If your question is not answered please feel free to give us a call at 301-974-5098 or email us at info@worklifedestinations.com. Click on the play button above to to hear Karen Lisk with Future Purpose Coaching interview Suzanne Rosetti of Work Life Destinations. If you would like a copy of this Webinar, right click on the play button and then “Save As…”. What do I need to start a coaching practice? At this point in time anyone can call themselves a coach and start coaching clients. In order to set yourself apart it is important to have some type of formal coaching training from a recognized legitimate school. Work Life Destinations is such a school with programs approved by the International Coach Federation. Do I need an advanced degree to coach? No, although many coaches have advanced degrees, it is not required. Coaches bring their own experiences and a wide variety educational backgrounds. What does WLD offer to get me started and keep on top of the best practices? We offer a total of 60 hours of Approved Coaching Specific Training Hours, broken down into two different 3 day workshops. The first one is 30 hours – Professional Coach Certification class. This is all you need to start coaching your clients. However, if your so desire a second class of 30 hours – Advancing Your Coaching Skills. These classes follow the exact guideline of Core Competencies and Ethical Best Practices as determined by the International Coach Federation and are taught by experienced Credentialed Coaches. Does WLD help me start my practice? Yes we do, in classes we offer a whole section dedicated to starting your coaching practice. What do the classes teach me? Classes start at $995.00, and we accept all major credit cards. Why should I seek an ACC credential from the ICF? The professional coaching industry has grown and the pubic at large have become much more knowledgeable about finding the “right coach”. The right coach is one who has been professional training by a program approved and recognized by the International Coach Federation, the “Gold Standard” for best practices and ethical guidelines. 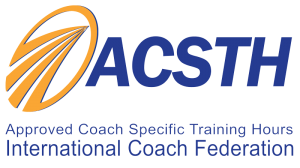 In order to be awarded and ICF-ACC credential you will have completed the following: 100 hours of coaching clients, 60 hours of ASCTH training, 10 hours of mentor coaching, a review of a recorded coaching session, complete the Coaches Knowledge Assessment. This is a rigorous program that provides assurance of the quality and skill of your coaching. You will be the “right coach”. You will be very sought after and command much more in salary. We have combined the very best training experienced with a very affordable price. Our instructors are Credentialed Experienced Coaches and Trainers. We adhere all the stringent requirements of ICF world class programs. We keep our classes small with effective observed feedback in real life practices sessions. Our graduates have proven successful outcomes. We stand behind our work and provide our students additional mentor coaching if needed to pass the Coach Knowledge Assessment. Does WLD offer Mentor Coaching for credentials and for CEU’s for credential renewals? Yes we do, at very affordable rates and flexible times. Mentor coaching is delivered primarily over the phone in 60 and 90 minute sessions. Mentees will send recordings for review and feedback throughout the course of the mentor coaching process. We will provide support for your success with your ACC on line application, recording and completion of your CKA. How is your training delivered? Training is conducted in live 3 day workshops started at 9am ending at 5pm, with some homework and pre-reading. WHY is WLD referred to as a one-stop shop for coaching training and credentialing? WLD does it all from first step certification training to Advanced Coaching and Mentoring. All the classes your need for you ACC credential and continuing educations requirements. Are your classes approved by the ICF? Yes, WLD has qualified for the Designation of Approved Coaching Specific Training Hours recognized by the International Coach Federation. Find our classes schedule and click on register now. Contact us at info@worklifedestinations.com or call us 1-800-491-0695.